The PetPace Smart-collar Is a non-invasive wireless collar that continuously collects your pet’s vital signs and behavior patterns. Do you worry about your pet’s health? PetPace is a state-of-the-art smart collar that accurately and continuously collects your pet’s vital signs to warn you at the first hint of an illness, stress or other health-related problem. PetPace is the result of years of product development and 10,000 hours of proven testing on nearly a thousand dogs and cats. 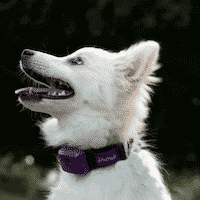 The PetPace collar uses non-invasive sensors to track temperature, activity, pulse, respiration, positions, calories consumed and burned, and heart-rate variations — all the elements underlining your pet’s overall health. It sends that data at 2-, 15- or 30-minute intervals to an innovative Health Monitoring Service that analyzes your pet’s health profile alerts you immediately when it detects any abnormalities. At just 1.5 ounces, the PetPace collar is lightweight, rugged and waterproof and comes in three sizes that fit dogs and cats as small as 8 pounds (3.6 kg). PetPace requires no shaving and is designed to be worn comfortably by your pet for the long-term, just like a regular collar. 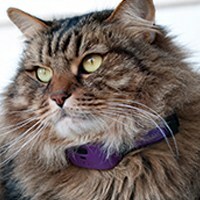 The PetPace collar works with a special Gateway that connects to your modem via an Ethernet port to keep you and your veterinarian up-to-date on your pet’s health and well-being. 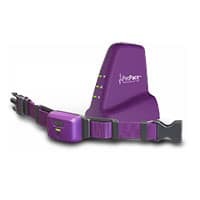 Any time your pet is within the Gateway’s range (approximately 1,000 feet) 1,000 feet of the Gateway, the collar transmits your pet’s health data. When your pet is beyond the range 1,000 feet of the Gateway (say, on a walk), the collar stores the data and transmits it when your pet returns to the Gateway.